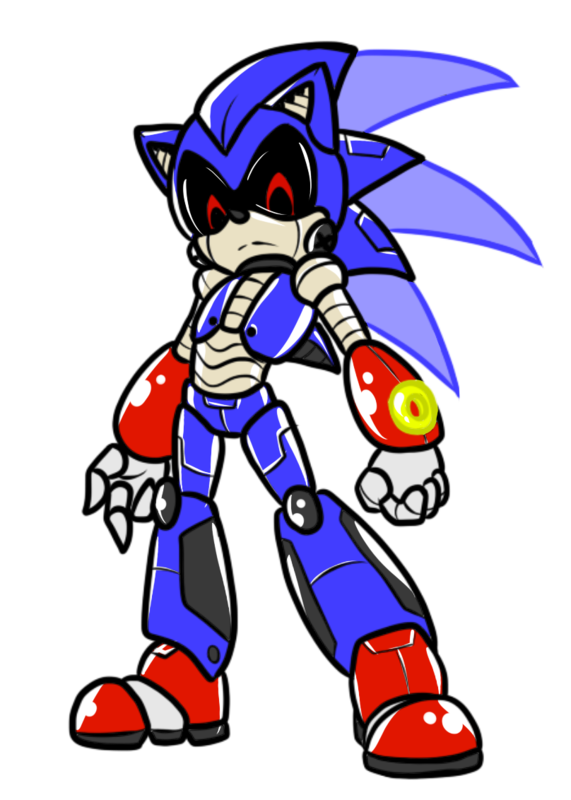 For Lent this year, every day I will draw a Sonic character roboticized. Because, hey, it's what I'm known for, right? For this one, I wanted to give the impression of his spines being more laser-like, for his spinball mode. Also, a power ring generator on his gloves. It's not revealed in this image, but those black parts on his legs hide a series of jet boosters, for when he's "gotta go fast". Very cool stylized look for Robo-Sonic. Your take on the back fin extensions is a nice touch to his build. ULTRA. BADASS. This is super awesome, superbly drawn!